In the Mexican border city of Tijuana, thousands of Central American migrants traveling together in an exodus known as the "Caravan" continued arriving in the city November 15, 2018. 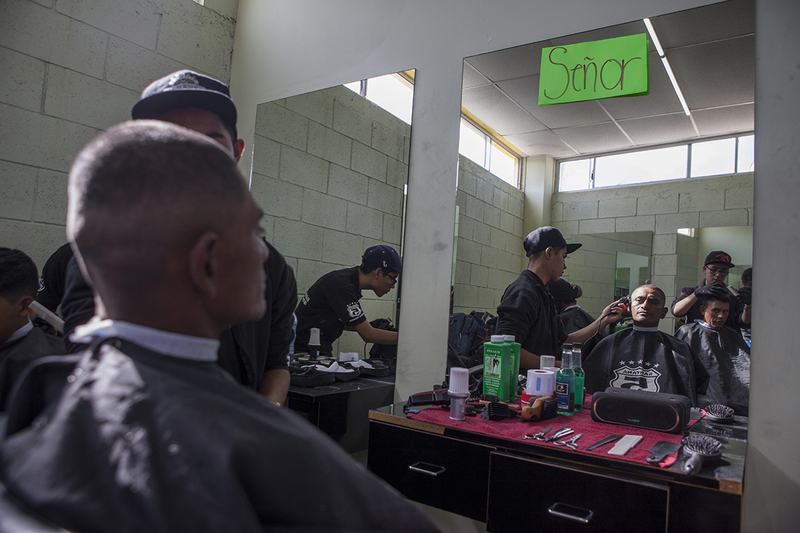 At Desayunador Salesiano Padre Chava, a shelter that serves free breakfast to around 1000 each day, a group of men received free haircuts from students of professor Ricardo Reyes from hairdressing school Santana 5. The hairdressing school has provided free haircuts at the shelter for years. Tristan's hair is cut by a student.